Here are more than 50+ service and owner's operating manuals in PDF for Nissan Marine Outboard Motors on this page. All manuals are free downloadable. 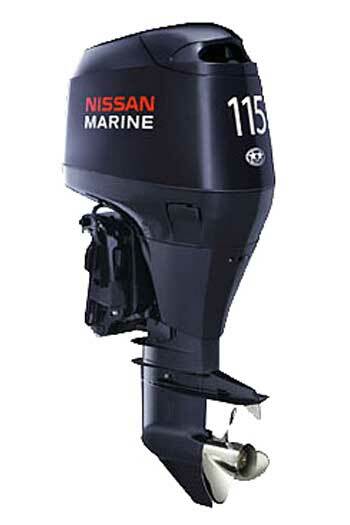 Two-stroke outboard motors Nissan Marine has long established itself as a trouble-free, easy to use and light engines. The advantages of four-stroke outboard motors NISSAN MARINE include the following - there is no need for suction, easy and quick start of the engine in all weather conditions. It is possible to control the speed using electronics for different speeds when trolling. even greater enjoyment from exploitation It is not necessary to mix gasoline with oil. Very soft and fast transition from minimum to maximum speed. The TLDI system provides everything you need from an outboard motor. The system provides excellent fuel and oil consumption. Excellent emissions performance. At low revs, there is no vibration, and the revolutions from small to high are very fast and even. Very quiet motor. The TLDI system received an award for the best innovation, ingenuity and creative idea. With the TLDI engine, you get the power of a 2-way Nissan Marine outboard motor, the silence and efficiency of a 4-stroke Nissan Marine motor. Nissan Motor Company, Ltd., abbreviated as Nissan, was founded in 1933 and is currently a multinational automaker headquartered in Nishi-ku, Yokohama, Japan. But if the cars under the Japanese brand Nissan are well known in our country, then not everyone has heard about the outboard motors of Nissan Marine. Nissan, with its advanced automotive technology, entered the global outboard boat engine market in 1970, introducing the outboard engine for the first pleasure craft made in Japan. Since that time, Nissan has taken a strong place in various industries related to the production and sale of pleasure craft, maritime transport, and the export of outboard motors. For the effective management of the division of the company engaged in the production of outboard motors, in 2000, Nissan Marine was created. Nissan Marine Company is a specialized company operating in all sectors of the maritime business, including the development, production, sale and after-sales service of boat engines. In constant concern for customers, the company constantly offers new products and services. Currently, Nissan Marine has nine of its offices in various countries around the world. Suspended boat motors Nissan-Marine are manufactured in Japan at the factories "Tohatsu" and "Honda". The first major trade show for Nissan outboard motors was held in 1985 as part of the Bass Master’s Classic trade show in Pine Bluff, Arkansas. At that time, Nissan Marine offered only models with a capacity from 2.5 to 70 hp, but soon after that it introduced engines with a capacity of 120 hp. and 140 hp Since its inception, Nissan Marine has continuously improved and expanded its range, offering, in particular, models from 40 to 140 hp. with separate injection of oil. In accordance with the requirements of modern shipowners, Nissan Marine began the production of fuel-efficient four-stroke outboard engines with low emissions. In an effort to constantly use the latest technology in its production, Nissan Marine has introduced a new line of injection engines that meet the most stringent environmental requirements. All Nissan Marine outboard motors are manufactured in Japan. The widest network of Nissin dealers around the world (there are more than 850 in North America alone) ensures their sale, as well as service and supply of spare parts.